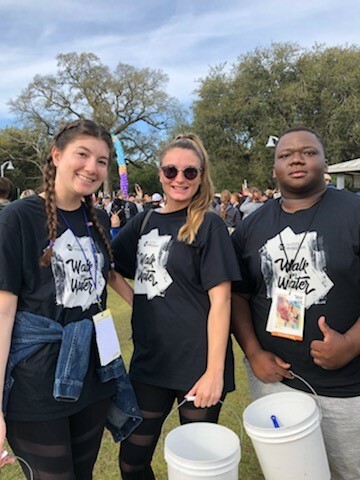 Thanks to everyone who came out Saturday to support Water Missions International in providing safe drinking water! The East Cooper Breakfast Rotary Club will meet Tuesday, August 24th, 2018 at 7:30 a.m. in The Cooper River Room at the Mount Pleasant Waterfront Park. We are pleased to have David Tirard, District Governor, as our speaker. Breakfast catered by Dish and Design Catering and Events. David Tirard joined the Rotary Club of Hilton Head Island in 2003. He is a Ten Star Rotarian and holds the Four Avenues of Service Citation. He was elected President in 2011, and he led the club to Large Club of the Year recognition at the District Conference in March 2012. At District level he has served on the Grants Committee since 2010, served as Paul Harris Society Chair since 2013 and as an Assistant Governor from the same year. 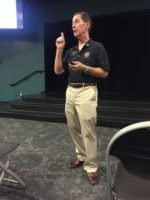 He holds two Foundation District Service awards, a Distinguished District Service award, and was recognized as District Rotarian of the Year in 2014. 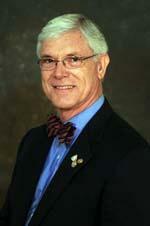 He is a Major Donor, Paul Harris Society member and Bequest Society member. David is British by birth, and enjoyed a thirty-three year career with Barclays Bank Plc. Most of his career was spent in the UK, but a tour of duty in Zambia as a bank auditor really opened his eyes to the poverty suffered in a third-world country. (This experience helps fuel his passion for the Rotary Foundation). Upon retirement he came to the United States in 2001, where he met his wife Susan. They moved to Bluffton SC in 2002. She is also a Rotarian, and they enjoy two children and eight grand-children in the USA, and two children and three grand-children in the UK. In the little time they have outside Rotary, they enjoy cooking, gardening and looking after the three Golden Retrievers they have rescued. Congratulations to our friends at The Moultrie News. 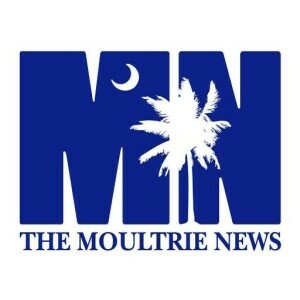 During the 2015 South Carolina Press Association Annual Meeting & Awards Presentation held March 13-15, 2015, the news team from The Moultrie News took home 12 awards, six of the twelve awards were first place. What a testament to the talented staff from our hometown newspaper. The 2014 East Cooper Breakfast Rotary Club’s Toys for Tots bicycle donation was a huge success. Many thanks to all club members who contributed to the cause through their efforts in serving through our Cinco de May’all and Oktoberfest Run events. A special thank you goes out to Tripp Hoover, Lawton Hayes and David Schwartz for the coordination of pick up and delivery. At the meeting today, representatives from the Marine Corp and Rob Fowler with News 2 praised the club’s efforts for making the Christmas wishes of many lowcountry children come true. To date, Toys for Tots has provided over 1,000,000 toys for children in our area. Thank you to Warren Pruitt for the photos of the event. ECB Rotary Past President Andra Watkins attended the Rotary Zone 33/34 Institute in Asheville, North Carolina in late November. She was one of three past presidents representing District 7770. She took part in emerging Rotary leaders classes and met Rotarians from Maryland to the Caribbean. District 7770 was recognized for both its membership growth and Foundation giving. ECB Rotary is a vital participant in both areas. Andra was honored to represent her club and its membership at the zone level. Our meeting speaker for November 18, 2014 will be the Mayor of the Town of Mount Pleasant, Linda Page. Mayor Page will deliver her State of Town of Mount Pleasant Address to the East Cooper Breakfast Rotary Club. Please make plans to arrive early to hear about the future of our town. 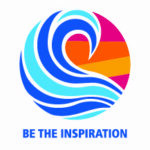 November 2014 is Rotary Foundation Month. Rotary impacts the world in many ways. Here are just a few to encourage you to participate and become a proud donor. 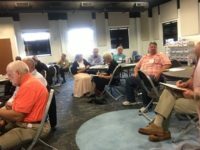 · Clubs in West Virginia (7530) are collaborating with clubs in theBahamas (7020) and the Eye Foundation of America to prevent Type 2 diabetes in West Virginia by participating in a Rotary Foundation Global Grant. Often, we hear stories about how we are helping other parts of the world by utilizing our DDF to implement meaningful grants and projects in other countries. I wanted to share this story with you because this global grant is happening right here at home. West Virginian Rotarians are tackling an issue that hits close to home for them. The instance and prevalence of diabetes in this region exceeds the national average. Rotarians in the Bahamas are helping address these issues and together, they hope to prevent Type 2 diabetes. · Another interesting project happening at home helps address the need to feed under-privileged children. 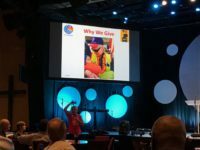 ARRFC Nancy Barbee writes: After many NID trips and several grants between district 7730 and districts in India, PDG Nancy Barbee asked two districts in India if they would help feed under-privileged children in North Carolina. The District Governors indistricts 3010 and 3170 from India contributed $10,000 each to the cause. Under the leadership of DG Don Atkins, District 7730 also contributed $20,000 and with the TRF match, it grew into $80,000. 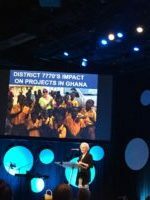 The funds were used to feed children throughout District 7730 in North Carolina. 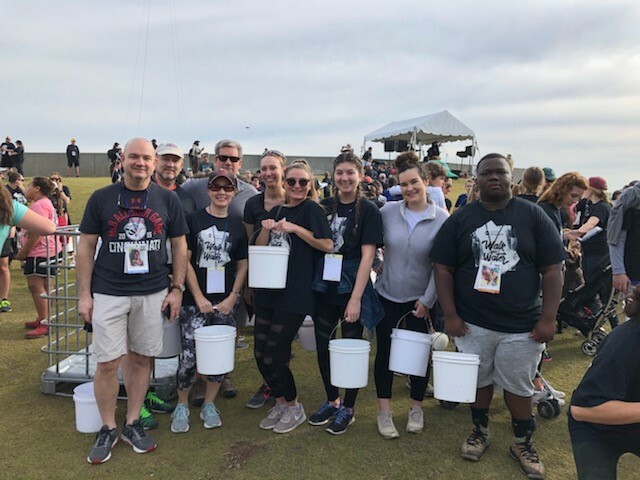 Over half of the clubs in the district participated in the Backpack Buddies program with other organizations and fed more than 6,000 children on weekends and holidays. Put on your running shoes and your party hat. Grab your favorite lederhosen attire and get ready for a great Oktoberfest 5K run presented by the East Cooper Breakfast Rotary Club. The race and after party will be held on Thursday, October 9, 2014. Our unique Thursday night race will take you through beautiful Mt. Pleasant, SC starting near the foot of the Ravenel Bridge and Waterfront Park, through Patriots Point, and back again. 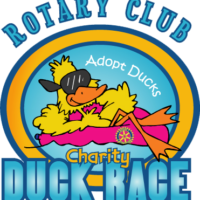 Toys for Tots Bikes and Happy Feet are the charities we have chosen to support for this years race. Last year we donated more than 100 bikes to children in need on Christmas morning and 200 pairs of shoes. The fun doesn’t stop with the end of the race! We have a live German band, beer, and brats to enjoy at Waterfront Park overlooking the Ravenel Bridge and Wando River. For more information visit oktoberfest5k.net. Want to Volunteer for an Opportunity as a Mentor in Our Literacy Program? Read All About It. Ashley Adams, our ECBR Literacy Chair has more opportunities for Rotary Club Members to volunteer with “Be a Mentor”. Lunch buddies is a program in which a mentor is matched with an elementary student (K-5) and goes to the school to eat lunch with the student once a week. The mentor will share lunch and conversation with their mentee and then, at most schools, there is a time to play board games, read, go out onto the playground, etc. with the mentee. Lunch Buddies Training: 1 hour, next training is Tuesday, August 26th at 12:00pm at the Be a Mentor Office located at 1850 Truxtun Ave, N. Charleston, 29405 (we’re kind of tucked away, so please follow the signs for Lowcountry Orphan Relief – we share a building with them). If this day/time does not work for you, please let us know and we can schedule your training at a different time! Project Shine pairs a mentor with a middle school student to meet during lunch hours once a week. Project Shine offers a curriculum and guided activities for the mentor and mentee to follow. These activities are focused on goal-setting, academic success, character and leadership development and career exploration. 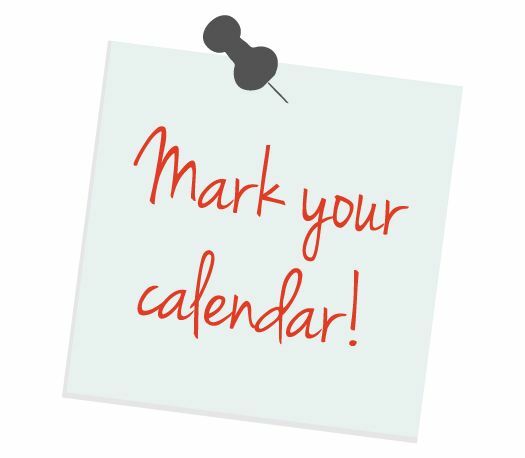 Project Shine Training: 1 hour, next trainings are Thursday, August 21st at 12:00pm and Thursday, August 28th at 12:00pm at the Be a Mentor Office located at 1850 Truxtun Ave, N. Charleston, 29405 (we’re kind of tucked away, so please follow the signs for Lowcountry Orphan Relief – we share a building with them). If this day/time does not work for you, please let us know and we can schedule your training at a different time! Career Path Mentoring matches mentors with high school students who are interested in similar career areas. The program works to help students graduate from high school and continue on into a promising career path. The mentors are provided with a detailed curriculum that will help the mentor in aiding the student in developing interview and job skills; enhancing their communication skills; and providing the student with more knowledge on a chosen career field. Career Path Mentoring Training: 1 hour, next trainings are Thursday, August 21st at 12:00pm and Thursday, August 28th at 12:00pm at the Be a Mentor Office located at 1850 Truxtun Ave, N. Charleston, 29405 (we’re kind of tucked away, so please follow the signs for Lowcountry Orphan Relief – we share a building with them). If this day/time does not work for you, please let us know and we can schedule your training at a different time! 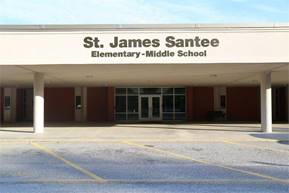 The Math Buddies program at James Island Elementary School (JIES) matches adult tutors with students in 3rd, 4th or 5th grade to improve basic math skills. 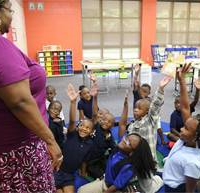 Tutors will be provided with easy-to-understand lesson plans created by the children’s classroom teacher. These lessons help practice skills and review what the children have already learned in class; tutors will not have to introduce new concepts. Over the course of their weekly 45-minute session, each tutor will assist 4 children in developing their math skills (2 children at a time). Mentors for this program meet once a week, either Tuesday or Thursday morning from 7:45-8:30am. The Academic Mentoring program matches mentors with youth living at the Carolina Youth Development Center (CYDC) to offer academic support as well as life mentoring. 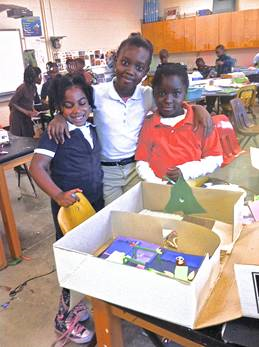 Many children at CYDC are below grade level in various school subjects. Mentors will work to bring students up to their corresponding grade level in the fundamentals (English and Math) and help with overall academic organization. Additionally, the mentors will help the students with job skills, developing plans for after high school and life readiness. For the duration of the school year, Academic Mentors will meet with their mentees for a minimum of 1 hour each week on a ‘designated day’ (between 3:30-6pm Monday-Thursday). Training: 1 hour, next trainings are Tuesday, August 26th at 10:30am and Wednesday, September 2nd at 9:30am at the Carolina Youth Development Center located at 5055 Lackawanna Blvd. North Charleston, 29405. If this day/time does not work for you, please let us know and we can schedule your training at a different time! 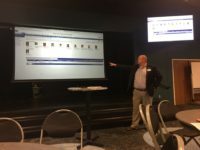 The next step in the process would be to select the program you’re most interested in and go through the brief training that we require to participate. Please respond to me if you’d like to attend one of our upcoming trainings. All mentors will need to go through a SLED background check. While Be a Mentor does cover the $8 cost of the background check, we always appreciate donations to help us cover the cost! Please contact our Literacy Chair, Ashley Adams. Her email address is ashley.adams@blackbaud.com. The date for Oktoberfest 2014 is set for October 9, 2014. The East Cooper Breakfast Rotary Club will play host to many lowcountry runners with all proceeds going to support Toys for Tots and Happy Feet. In the coming weeks, you will see more information about the event including volunteer and sponsorship opportunities. For more info about the race visit www.oktoberfest5k.net. We need your help in doing this to promote the event to increase attendance. For more information about volunteering, contact Co-Chairpersons, Mike Bloser (michaelbloser@gmail.com) or Stephanie Bates (stephaniebts@yahoo.com). For sponsorship opportunities, please contact Tim Walter (twalter@carolinaone.com). ECBR Club Members – We need your help promoting the Kayak/Bike raffle. We only have about 120 tickets left to sell before someone wins the choice of prizes. Please see Mike Patterson for tickets. You can use this flyer to post to social media or to post in your office. In case you missed last week’s meeting, I am sending an electronic copy of the Oktoberfest 2014 Run Sponsorship Information to you. As you know, this event benefits Toys for Tots and our Happy Feet. Many of you sponsored the event last year individually or through your companies. We hope that you will consider renewing or increasing your sponsorships for this year’s race. Additionally, if you know of another company or individual who may be interested in sponsoring the race, please send this information to them or simply have them contact me, and I’ll take it from there. My email address is twalter@carolinaone.com . My mobile number is 843.670.3035. We are only a little over 7 weeks away from the event on October 9, 2014. We need your help to make this year’s event a success. Please reply if you are going to renew your sponsorship or if you know of someone else who will be a sponsor. I am tracking this info for the race.